On a peaceful evening lagoon, an exciting but ”perilous journey” awaits to haunt you back into the past. Into the past where you are taken to swashbuckling adventures. Welcome to the Pirates of the Caribbean attraction! The good old pirates greet you into this world to learn about their mayhem adventures on finding buried treasure. If you remember the previous article on Disney’s Electrical Water Pageant Light Show, it’s now safe to bring Captain Hook since he is nothing without his treasure. For the time being at least. 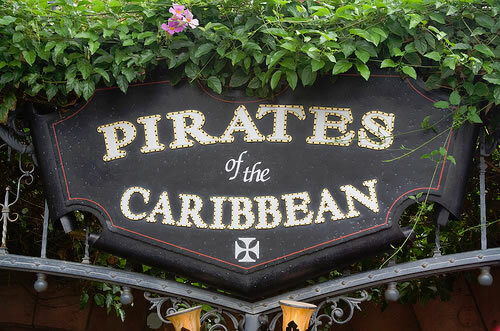 At the Pirates of the Caribbean attraction, these guys want to share the fun with you as you learn about their history. This boat ride is unlike any attraction you’ve ever been on. For one, it has the water technology to transport you into the world of pirates. Walt Disney had another idea in mind by just leaving the attraction as a wax museum but we know too well that still wax figures would just be a boring story! We want to see action! Pirates fighting here and there! Pirates laughing and having a good time with their fellow lads! Your journey begins when you board a boat which takes you on the quite and smooth blue bayou. The night sky is quite with a few clouds moving in tranquility across the space. You will walk the plank to the Muster Station where a veteran scallywag will receive your Pirate Oath and begin your marauder makeover! You can’t forget while looking around the belly of the pirate ship that you are rapidly getting ready to sail away on an adventure. 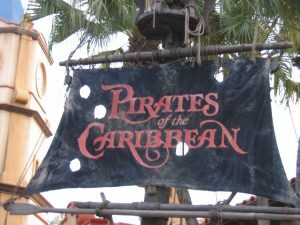 Disney World Orlando, FL– If you are planning a trip to Disney World a must see attraction is the Pirate of the Caribbean ride. It is an amazing boat ride attraction that would take you through the town where the pirates are stealing and counting their loot. 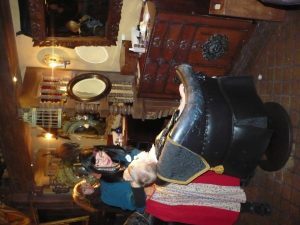 There is so much to see in the Pirates of the Caribbean ride. Even as you wait in to enter the attraction make sure pay attention to the theme as it takes you narrow winding tunnel to the boat ride. Be ready: there is rough water and a quick plunge will take you by surprise. As you listen to ” Yo Ho (A Pirate’s Life is for me) while floating away in this pirates world take cover cause there are some gun fires and cannons blasting. Try to find Jack Sparrow as he looks for the towns treasure map. Other scoundrel buccaneers are trying to beat him to this treasure map. As you go through the boat ride you will see the treasures these pirates have stolen.